Postdoctoral fellow in the Emmy Noether Junior Research Group led by Nicole Megow, October 2013 to August 2015. Postdoctoral fellow in the Emmy Noether Junior Research Group led by Nicole Megow, September 2015 to December 2015. Research assistant professor, since January 2017. Chen, L., Xu, L., Shah, N., Gao, Z.M., Diallo, N., Lu, Y. and Shi, W.D. : Unraveling Blockchain based Crypto-currency System Supporting Oblivious Transactions: a Formalized Approach. In: Proceedings of ACM Workshop on Blockchain, Cryptocurrencies and Contracts (BCC 2017). To appear. Chen, L., Marx, D., Ye, D.S., Zhang, G.C. : Parameterized and approximation results for scheduling with a low rank processing time matrix. In Proceedings of the 34th International Symposium on Theoretical Aspects of Computer Science (STACS 2017)}. Abed, F., Chen, L., Disser, Y., Groß, M., Megow, N., Meissner, J., Richter, A., Rischke, R.: Scheduling Maintenance Jobs in Networks. In: Proceedings of 10th International Conference on Algorithms and Complexity (CIAC 2017). To appear. Chen, L., Jansen, K., Luo, W.C., Zhang, G.C. : An Efficient PTAS for Parallel Machine Scheduling with Capacity Constraints. In: Proceedings of the 10th Annual International Conference on Combinatorial Optimization and Applications (COCOA 2016). Best paper award. Chen, L., Ye, D.S., Zhang, G.C. : Approximation Algorithms for Parallel Machine Scheduling with Speed-up Resources. In Proceedings of the 19th International Workshop on Approximation Algorithms for Combinatorial Optimization Problems (APPROX 2016). Ye, D.S., Chen, L., Zhang, G.C. : The Price of Anarchy in Two-Stage Scheduling Games. In Proceedings of the 13th annual conference on Theory and Applications of Models of Computation (TAMC 2016). To appear. Chen, L., Megow, N., Schewior, K.: The Power of Migration in Online Machine Minimization. In Proceedings of the 28th ACM Symposium on Parallelism in Algorithms and Architectures (SPAA 2016). To appear. Chen, L., Zhang, G.C. : Packing groups of items into multiple knapsacks. In Proceedings of the 33rd International Symposium on Theoretical Aspects of Computer Science (STACS 2016). Chen, L., Megow, N., Schewior, K.: An O(log m)-competitive algorithm for online machine minimization. In Proceedings of the 27th ACM-SIAM Symposium on Discrete Algorithms (SODA 2016). Chen, L., Megow, N., Rischke R., Stougie, L.: Stochastic and robust scheduling in the cloud. In Proceedings of the 18th Approximation Algorithms for Combinatorial Optimization and 19th Randomization and Approximation Techniques in Computer Science (APPROX-RANDOM 2015), 175--186. Chen, L., Megow, N., Rischke R., Stougie, L., Verschae, J.: Optimal algorithms and a PTAS for cost-aware scheduling. In Proceedings of the 40th Mathematical Foundations of Computer Science (MFCS 2015), 211--222. Chen, L., Ye, D.S., Zhang, G.C., Online Scheduling on a CPU-GPU Cluster. In Proceedings of the 10th annual conference on Theory and Applications of Models of Computation (TAMC),1-9, 2013. 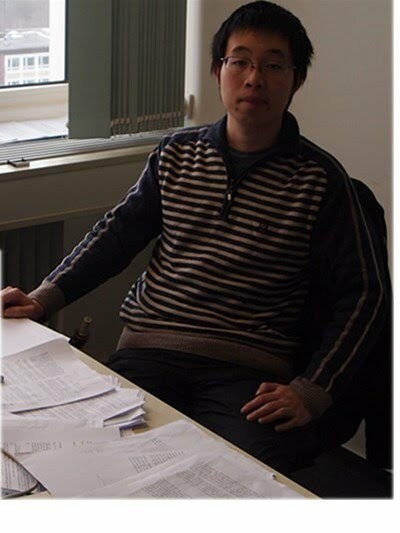 Chen, L., Zhang, G.C., Approximation algorithms for a bi-level knapsack problem. Theoretical Computer Science, 497, 1-12, 2013. Luo, W.C., Chen, L., Zhang, G.C., Approximation schemes for two-machine flow shop scheduling with two agents.Journal of Combinatorial Optimization, 24(3), 229-239, 2012. Luo, W.C., Chen, L., Approximation schemes for scheduling a maintenance and linear deteriorating jobs Approximation schemes for scheduling a maintenance and linear deteriorating jobs., Journal of Industrial and Management Optimization, 8(2), 271-283, 2012.